By Jake Rocheleau in WordPress. Updated on November 26, 2017 . Dealing with WP code snippets can be a real pain. From custom taxonomies to WP_Query loops, developers are always copy-pasting snippets between projects. Each snippet follows proper coding standards for WordPress themes & plugins, so you can just copy and paste the snippets with ease. The goal of this site is to help developers create templates for common tasks such as custom taxonomies or unique sidebars without Googling for a tutorial. If you click any of these buttons you’ll get the generator interface on a new page with custom settings for each option. 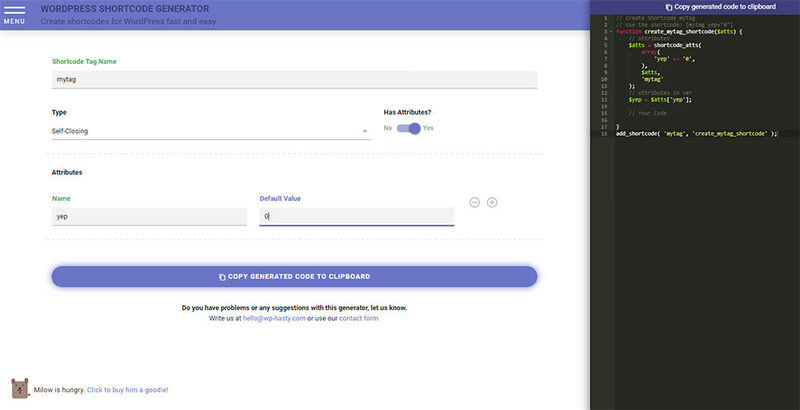 For example, the shortcode generator allows you to choose if the shortcode should be auto-closing and if it has attributes (plus, what those attributes are). This way, you can develop a customizable template for your initial setup and work around that. Need an extra attribute for a new shortcode? 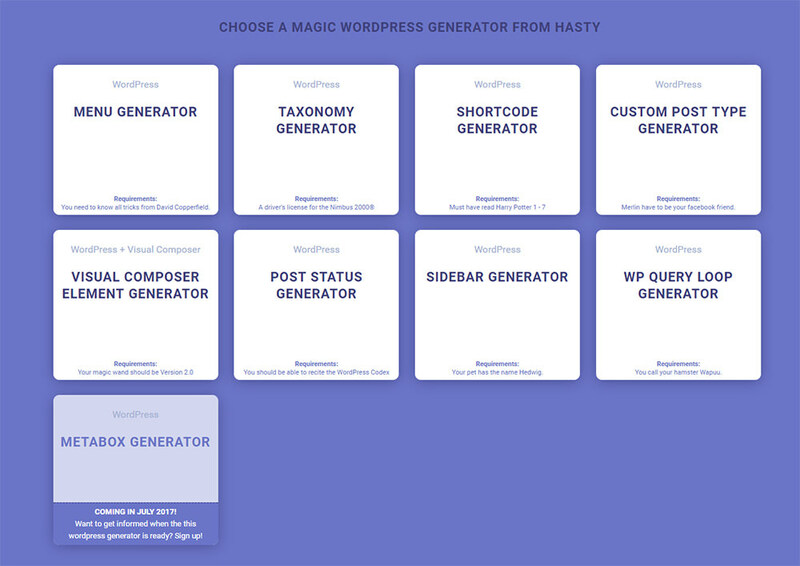 This generator can do it at the click of a button. All code output appears on the same page, in a small text editor interface. So, you literally just copy-paste the codes into your theme and you’re good to go! This is by far one of my favorite WordPress tools because it’s so practical and it’s something you can reuse many times. And, did I mention it’s totally free?